Thanks for being a voice for the forest. We are a nonprofit grassroots campaign, and 100% of your donation goes directly to protecting Pisgah. Donations are used exclusively for campaign materials, outreach, rallies, and events. We are supported and managed by Friends of Big Ivy, a federal 501(c)(3) nonprofit, so your donation is also 100% tax-deductible. All donations directly support more protected areas in the Pisgah-Nantahala. 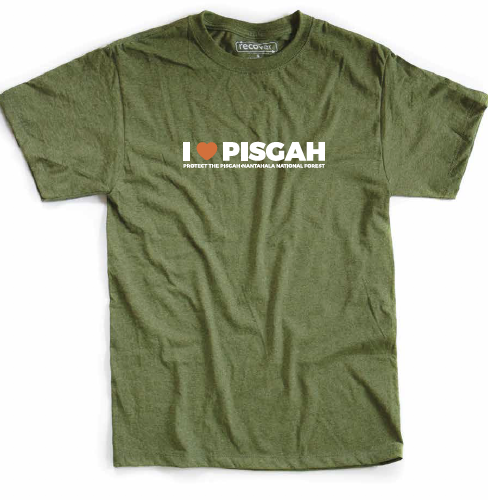 Donate $25 or more and you'll receive a free I HEART PISGAH t-shirt. You can also support our partner organizations working to protect the Pisgah-Nantahala. Click on their logos on the partner page to donate.